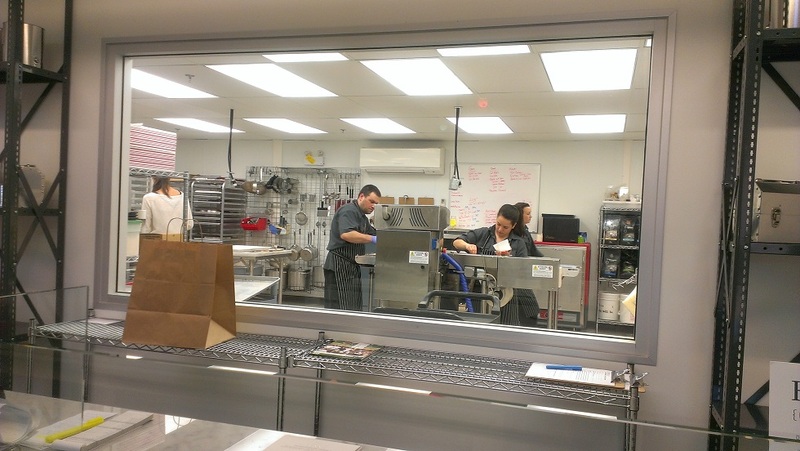 Beta5 is a well established chocolatier but they also make amazing cream puffs! I’m not a gourmet chocolate person though so I have yet to try their chocolates but maybe someday soon. When you open the door to the store, it smells really sweet and yummy! You can pre-order the cream puffs that you want ahead of time to make sure that they are available when you arrive because sometimes they do sell out of certain flavours. From left to right: S’mores, Vietnamese Coffee, Vanilla and Coconut Passionfruit. 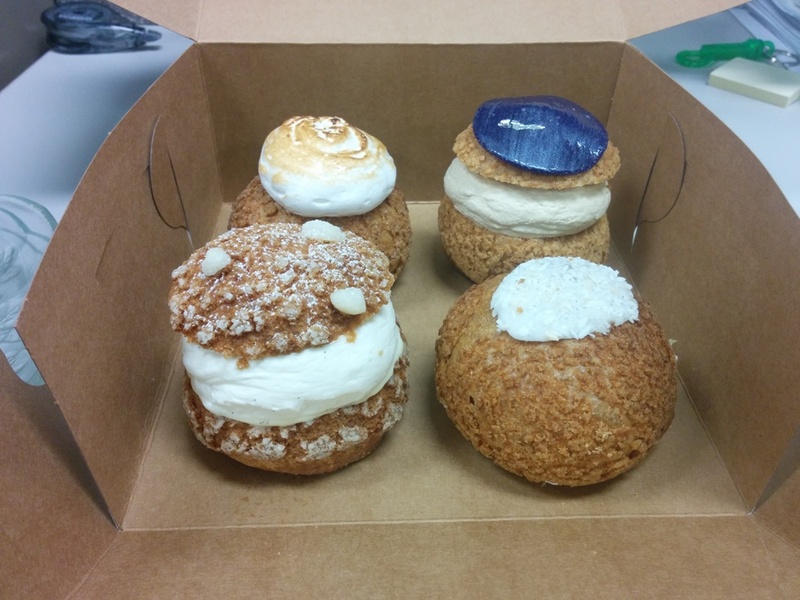 The creampuffs are $4.50 each but if you order 4, it’s $16. I had the S’mores and it was topped with a roasted marshmallow on top. The inside had a rich and creamy dark chocolate filling as well as a milk chocolate filling. It really was like eating a s’more! I’m pretty sure that eating these will turn you into a cream puff enthusiast if you weren’t already! 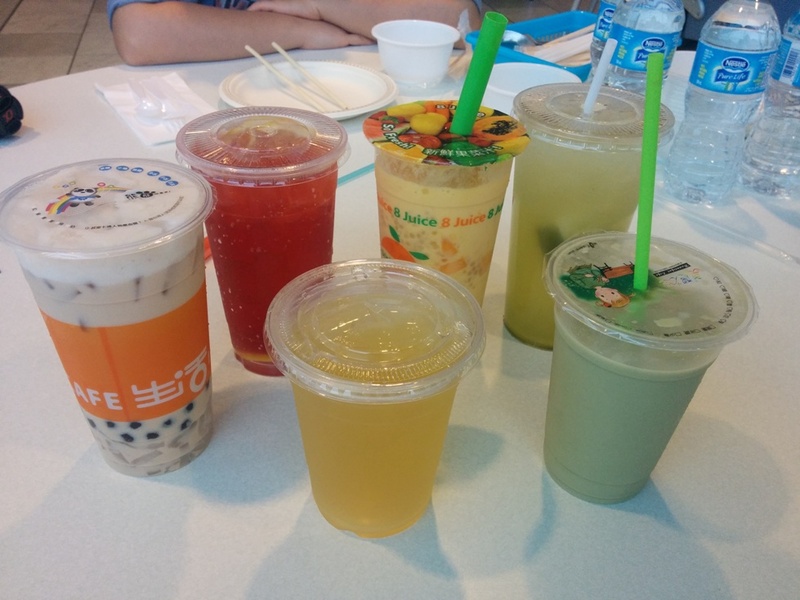 I sampled some of the other flavours as well and they all tasted as advertised. The vanilla felt a bit plain though but it’s vanilla so yeah. I still recommend everything!!! 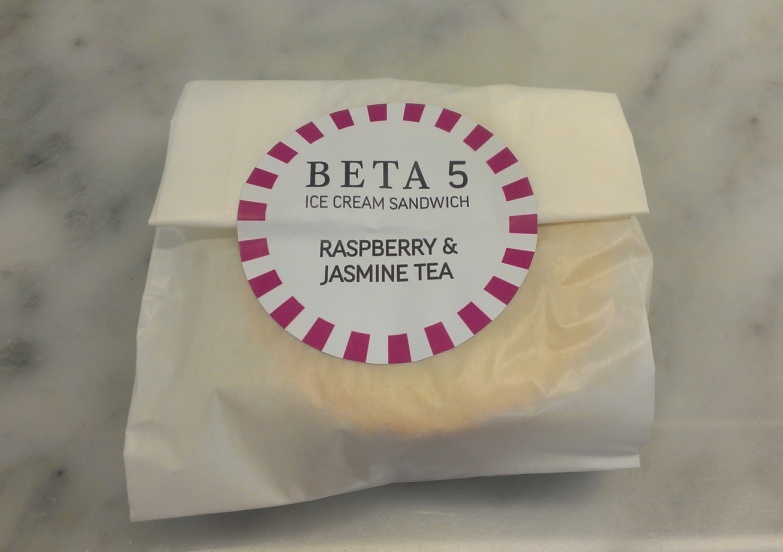 If you like ice cream sandwiches then you really must try Beta5’s version in the summer. Read about them here! 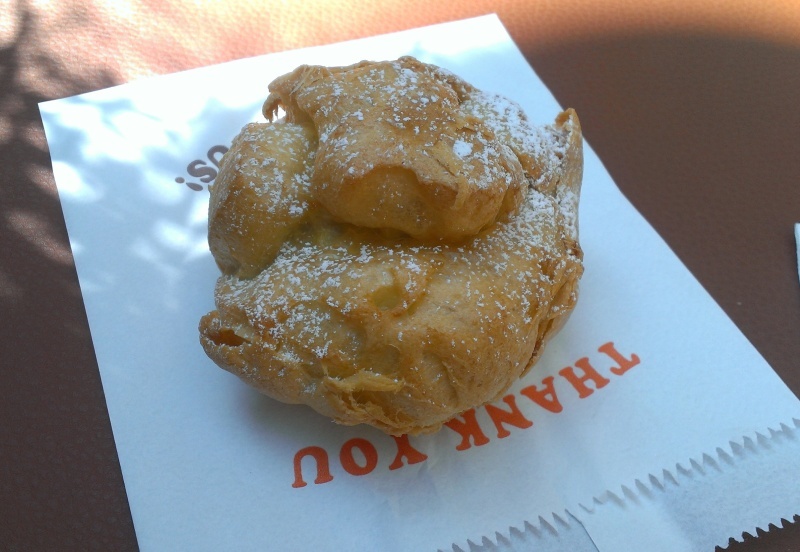 Also read about my last cream puff visit here. 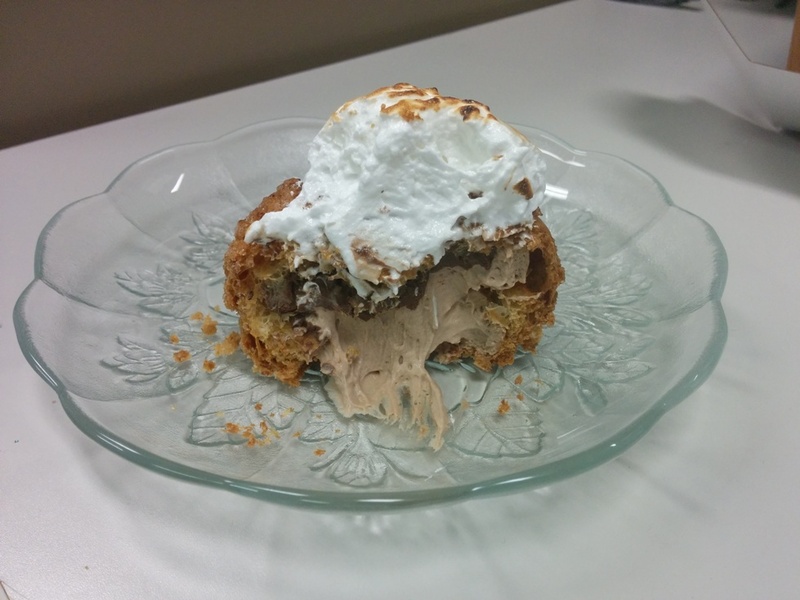 This entry was posted in Desserts, Food Reviews and tagged cream puffs, desserts, s'mores. 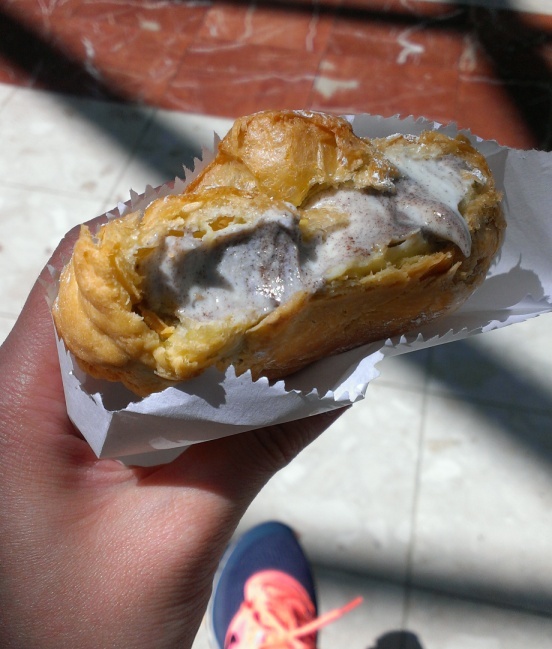 Beard Papa’s has been around for a while and I remember when they first opened in Aberdeen, they were all the rage! Then they expanded in Vancouver and opened stores everywhere! 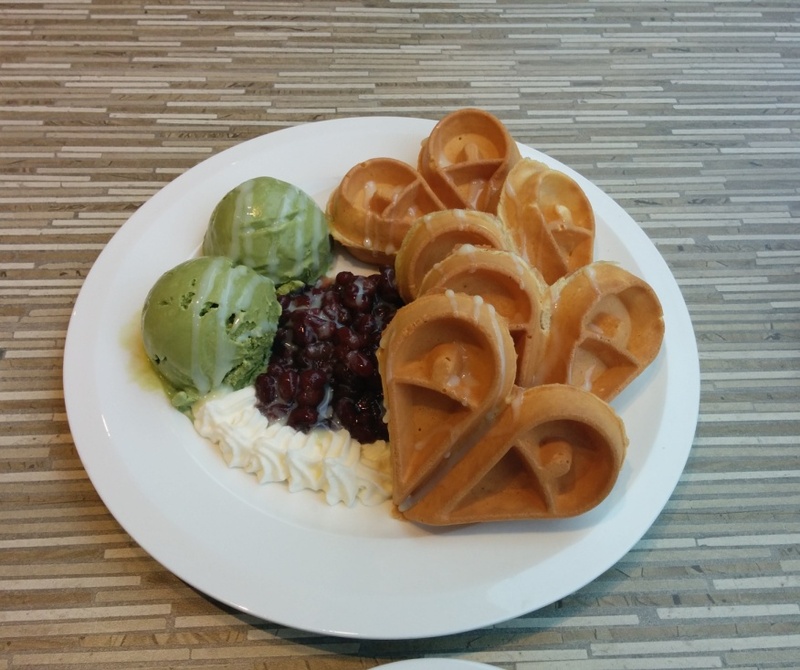 Their flavours range from chocolate to green tea and strawberry as well as other seasonal flavours. I was at Richmond Centre and noticed that they had Cookies N’ Cream as their new flavour so I thought I’d give it a try. They also serve eclairs and fondants and cheesecake sticks to name a few. Surprisingly, I haven’t blogged about them yet! The pastry shells are pre-made already and all they have to do is fill it with cream once you have ordered. Then the top is sprinkled with some powdered sugar. They also have a cocoa version where the pastry shell is chocolate flavoured. 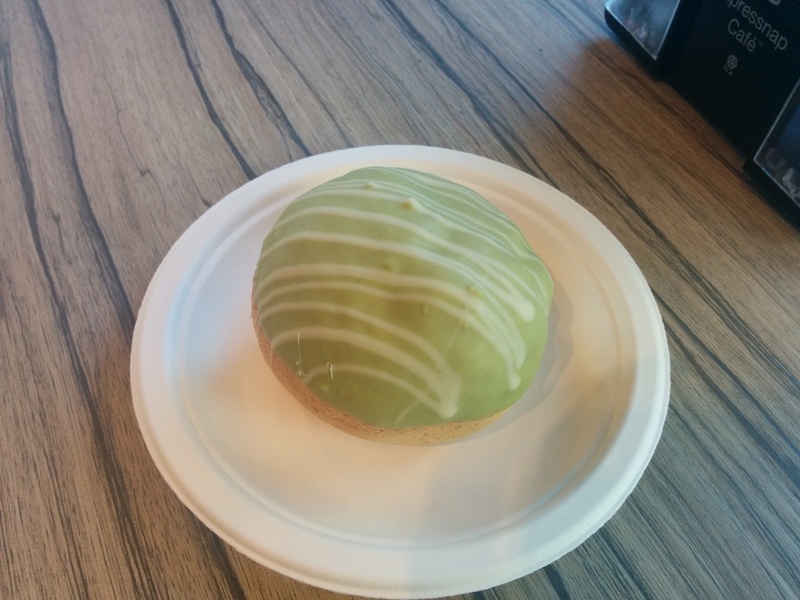 I thought that the pastry shell had no flavour and tasted kinda bland in contrast to the cold cream filling inside. 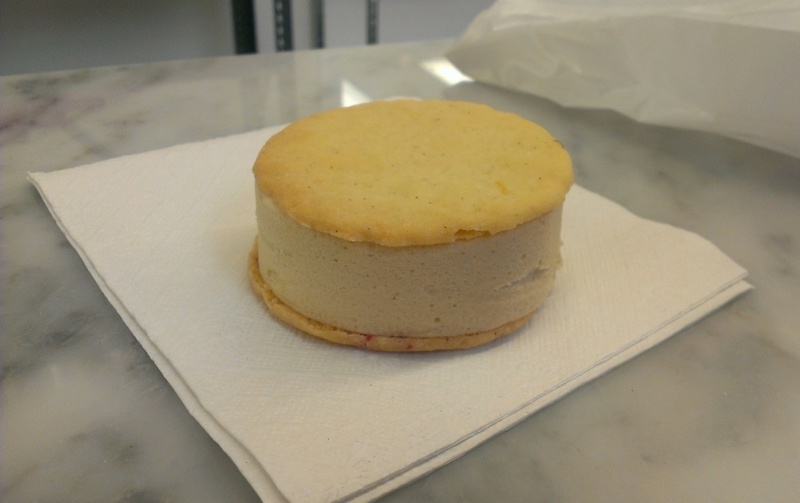 The flavour of the filling was mild though and it was hard to pick up the cookie’s n’ creme flavour despite the noticeable cookie bits in the cream. 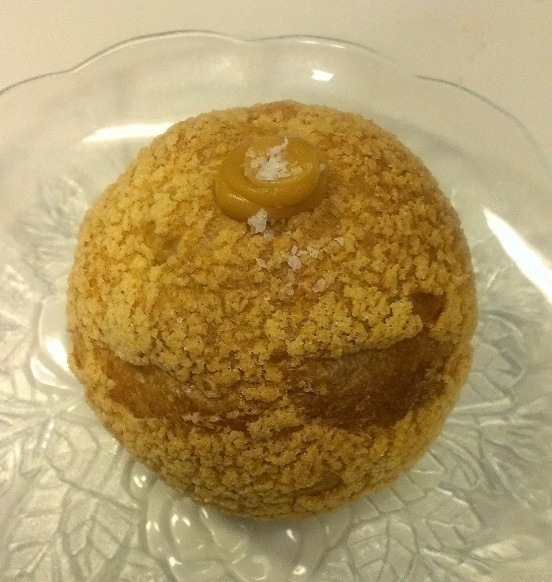 Overall the cream puff tastes very light and they put quite a lot of filling in it! I don’t feel like they were as addictive as they once were though so probably my tastes have changed… *cough Beta5 cream puffs cough* It’s not bad for a snack at the mall once in a while though. 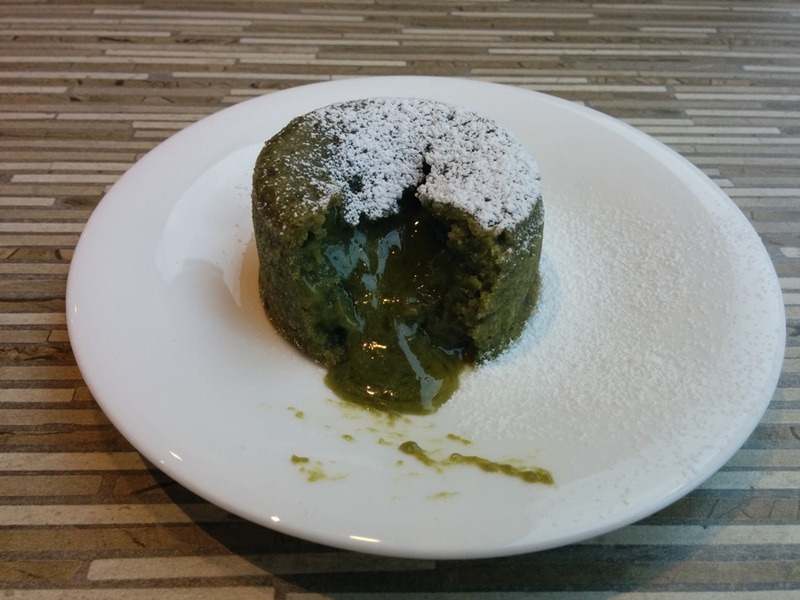 This entry was posted in Desserts, Food Reviews and tagged cookies n' cream, cream puffs, desserts. If you haven’t noticed already I seem to work near a lot of restaurants! Beta5 Chocolates is also surprisingly close on Industrial Avenue. You would never really look for a chocolate shop there but it is there. Even though they are one of North America’s top 10 chocolatiers, they are also well known for their cream puffs and that’s what we tried! You can see them working in the back through this large window. The shop part is actually quite small. 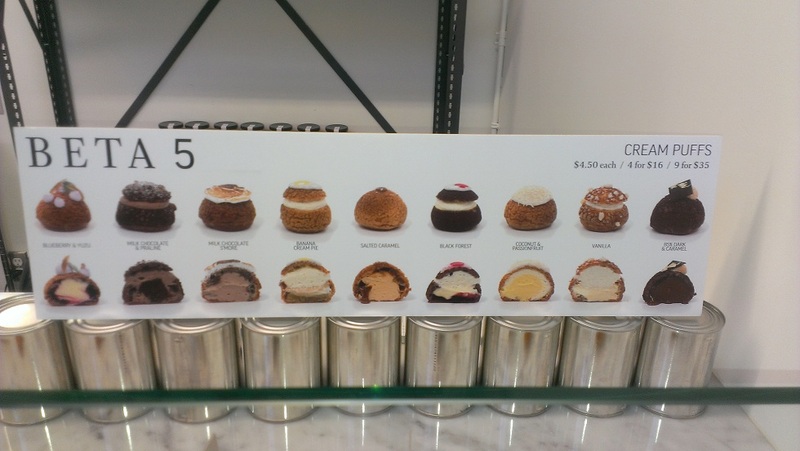 Here are all the cream puffs they have available! We were informed they didn’t have any more of the chocolate pastry shells though which was fine. We decided to share a box of 4 so it was $16/box whereas it is $4.50 each if you buy them individually. At the top left we have the 85% Dark Chocolate and Caramel cream puff, top right is the Milk Chocolate S’mores cream puff, bottom right is the Blueberry Yuzu cream puff and the last one is the Salted Caramel cream puff. They’re all decorated with something on top so you know which one is which. Close up of my Salted Caramel! Sorry I didn’t take a picture of the inside. 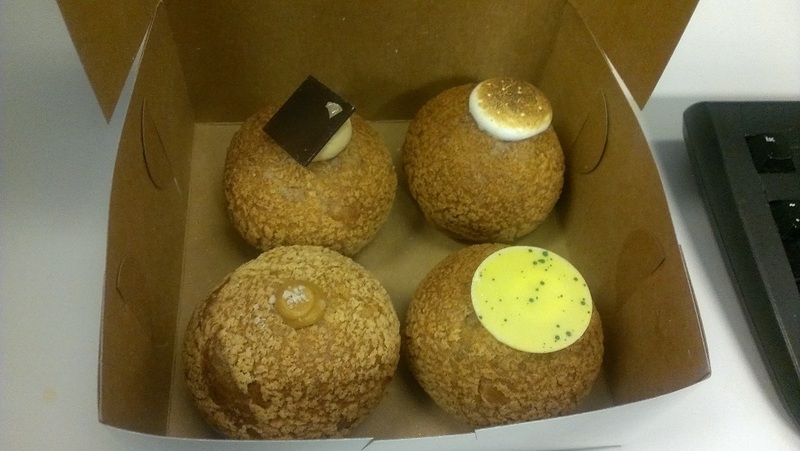 The exterior was more crunchy than I expected and these cream puffs were pretty big compared to say Beard Papa’s. The filling was pretty good and not too sweet! There was just enough salt to balance out the sweetness. I also tried the 85% dark chocolate and caramel cream puff and it was very rich and chocolatey. The consistency of the filling was also more solid and less creamy than my salted caramel. We all agreed that they were delicious! They are quite pricey though for a cream puff. This entry was posted in Desserts, Food Reviews and tagged chocolates, cream puffs, salted caramel.